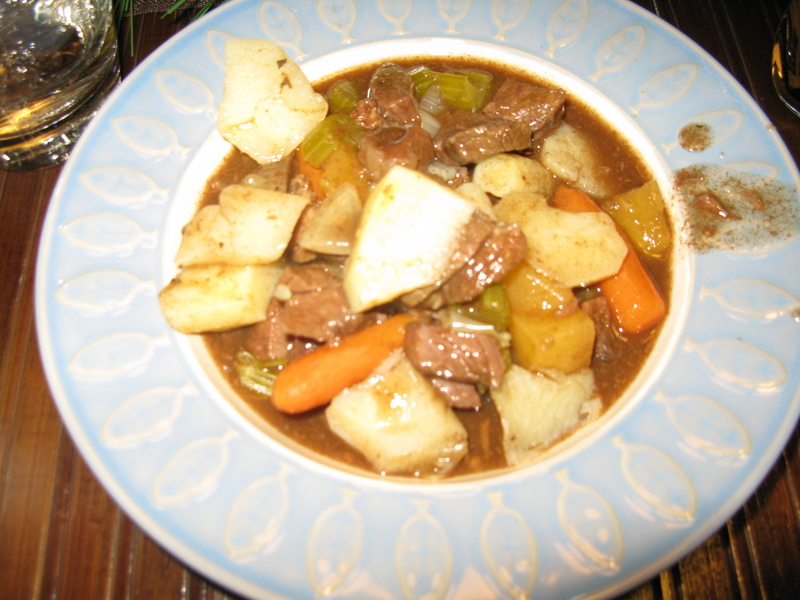 Caribou Stew – Don’t Mind If I Do! In Rural Newfoundland & Labrador it would not be uncommon to enjoy wild game as part of the regular rotation of meals from the kitchen. Upon returning home we were greeting by a pot of caribou stew – after only hours before experiencing a live herd crossing the main highway. I assure you we did not take any bounty for the road. A delicious mixture of chunks of caribou meat, celery, potatoes, carrot and turnip. I recommend if you ever have the opportunity while in Rural Newfoundland and Labrador to try caribou. Posted on January 20, 2012, in Cuisine and tagged canada, Caribou, Labrador, Newfoundland, Newfoundland and Labrador, Reindeer. Bookmark the permalink. 4 Comments. Where would one get caribou?